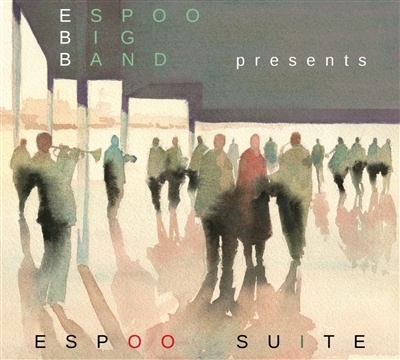 Espoo Big Band (EBB) is one of Finland’s most prominent big jazz orchestras and it’s especially known for performing new Finnish big band music. The band was established in 1980. Previously EBB has toured in Asia, Australia and Brazil, performed at several great festivals such as Detroit, Montreaux and Paris and released ten albums. EBB hosts annually one of Finland’s biggest jazz festivals, April Jazz where it has accompanied jazz masters like Freddie Hubbard, Ray Charles, McCoy Tyner, Joe Henderson, Billy Cobham, Trilok Gurtu, Diane Schuur, Patti Austin, Carla Bley and Maria Schneider.